How Much (If Anything) are you Willing to Pay for Hulu? In case you have not yet heard, the popular TV show streaming website Hulu, will soon be charging for their services. This was originally speculated by Consumerist back in June and was poorly received by it’s readers. 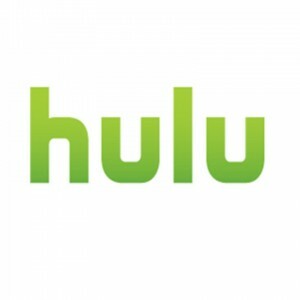 If you have ever visited Hulu, you are aware of the service they provide (currently for free). You can visit the site with no membership required (for now, anyway) and watch many television shows completely free of charge. You can even catch new programs! The other night I missed the Office (a very unusual occurrence for me) and had to catch it online. Luckily, it was up the next day which allowed me to live a happy and normal life once again. There are currently commercials included in the free programming offered by Hulu. If customers are paying subscription fees or paying per episode, will this eliminate the commercials? Or at least give the customer the option to speed through the commercials? Depending on how it is structured, this could be a big mistake. If Hulu intends to charge a Monthly subscription fee, the “heavier” users of the service are the only ones who will benefit from continued use of the service. Conversely, if they employ a pay-per-use structure, they will be competing directly with Itunes, who already offer many TV shows for about $2 per episode. If they do decide on the pay-per-use option, Hulu may decide to offer downloadable content to compete with Apple. With cable and a DVR at home, I do not often use Hulu. But if I did, rest assured that I would not be happy with this announcement. I know many people who swear by Hulu and would gladly continue to suffer through the commercials to forgo any charges. If you wish to continue to watch your favorite shows on demand, how much is it worth to you? $5/month, $10/month, $20/month? How do you feel about this announcement? Is it warranted? Do you feel that Hulu’s services are worth paying a “cable-type” premium for? Previous post: Do You Know How Much You Pay in Interest?